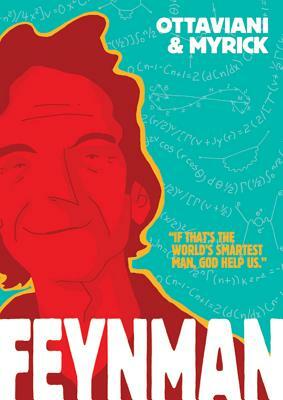 Jim Ottaviani (Feynman, Primates) is the world’s preeminent writer of comics and graphic novels about science. Notable works include a biography of Niels Bohr and the fast-paced tale of the desperate lives of early paleontologists and T-Minus: The Race to the Moon, from Aladdin books. He has worked as a nuclear engineer and is currently employed as a reference librarian in Ann Arbor, Michigan. Leland Myrick is the Ignatz Award- and Harvey Award-nominated author and illustrator of The Sweet Collection and Bright Elegy. His writing and illustrations have appeared in publications as diverse as Dark Horse Comics, GQ Japan and Vogue Russia. He grew up in Missouri, a place that has inspired much of his poetry and art, and he now lives in Pasadena, California, with his wife and daughter.